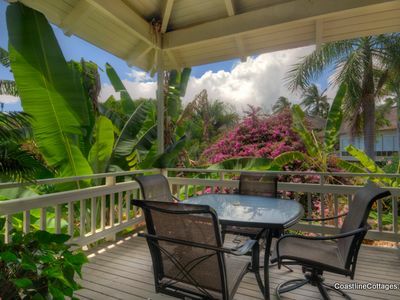 Best Location on Property for Price & Quiet. 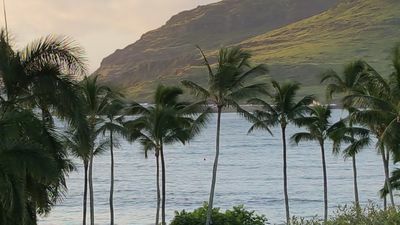 HI TAX I.D. 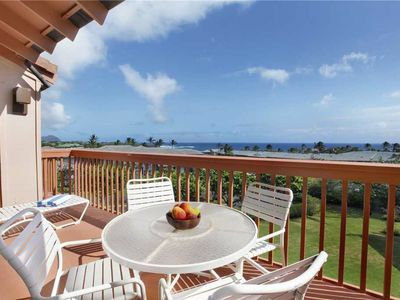 01519368-Our wonderfully located UNIT #42 BUILDING 8, second floor condo (NO WALKING NOISE ABOVE YOU) is considered a Garden Paradise unit because of its close proximity to the beach 2 MINUTE WALK. 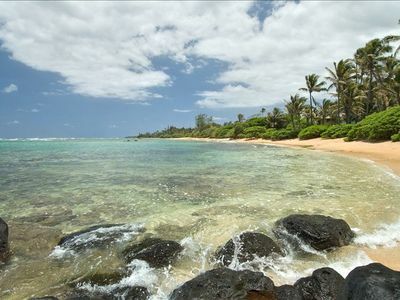 Just a short walk gives you a beautiful sandy beach where you can swim, snorkel, surf or relax and read a book. 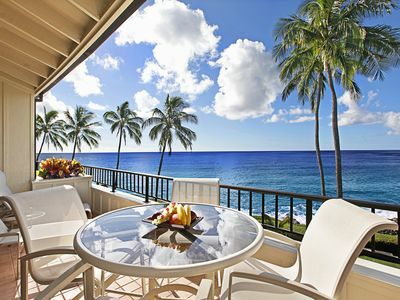 The beach front barbecue area is very close as well. 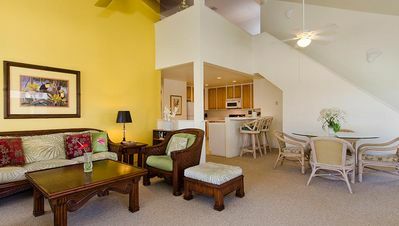 Complementary beach chairs and towels are provided for your enjoyment at the beach hut where you can grab a snack too. 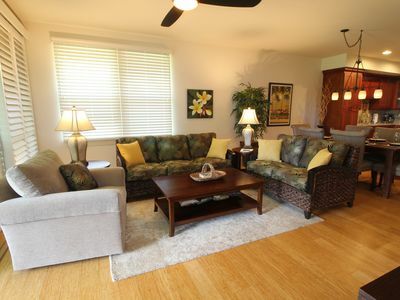 Brand new Living and Dining Room Furniture!!! 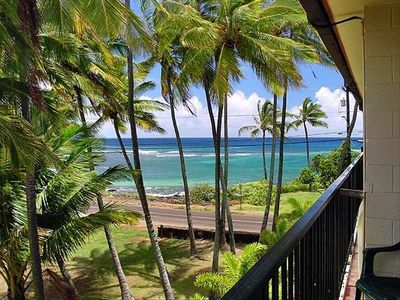 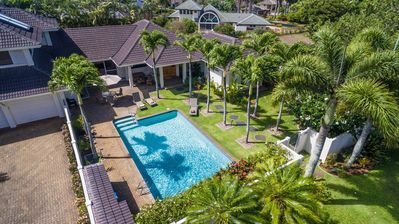 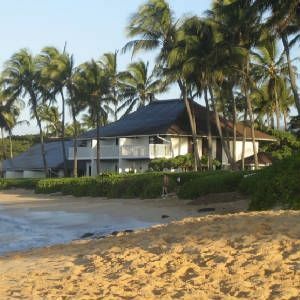 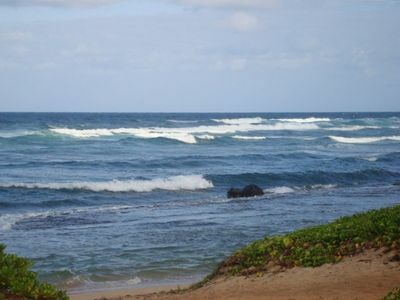 Kiahuna Plantation is the Sunny Southshore's only premier beach front low rise condominium property with beautiful tropical gardens surrounding this very special one of a kind location. 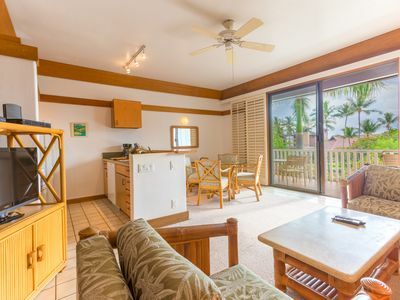 Please note: THERE IS A MAID SERVICE REQUIREMENT AND CHECKOUT CLEANING FEE FURTHER DESCRIBED IN RATE DETAILS....Resort requires owners guests to pay: For a stay of 1-9 days a checkout cleaning fee of $160.00 is required. 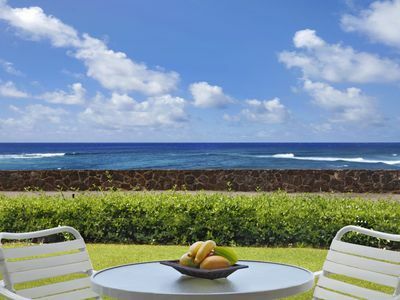 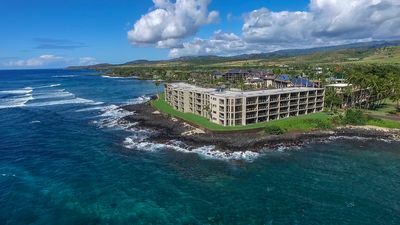 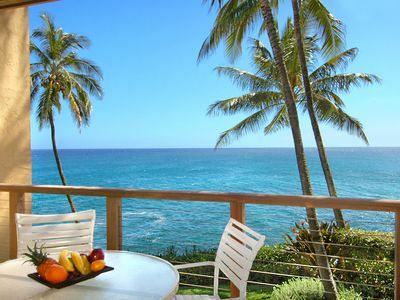 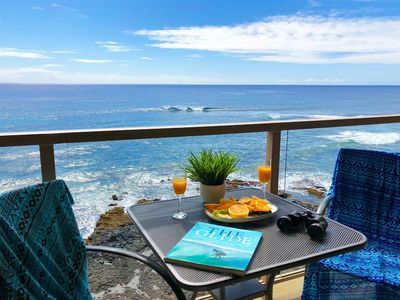 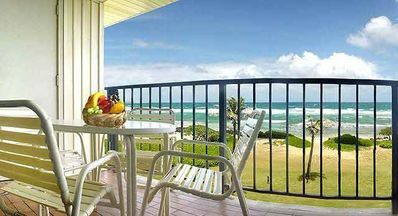 For a stay of 10 nights or more the cleaning fee is $240.00 A local Hawaii State Resort Tax of 14.416% will also be added to the final nightly rate you agree to ...THE RESORT WILL COLLECT FOR CHECKOUT CLEANING FEE AND ANY MAID SERVICE. 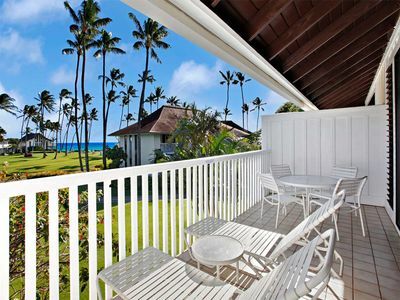 Poipu Kapili #57: Spacious end unit with Oceanfront Views & Privacy! 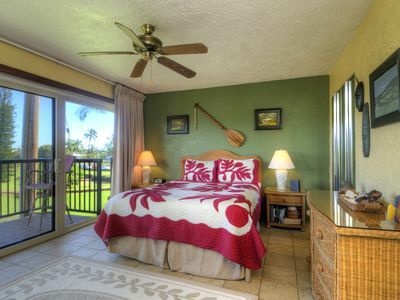 Regency 423: Couch to Snorkeling in 6 minutes!! 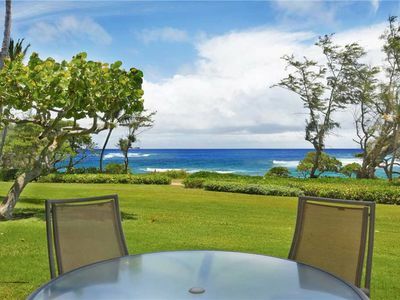 Hale Maluhia Estate at Poipu: Elegance and comfort with AC and Private Pool! 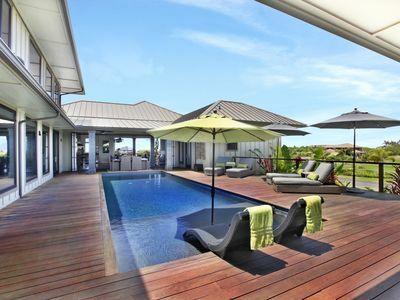 Luxury Home, Air Con, Big Pool, Gourmet Kitchen, 4BR 6 Bath, 3 Master Suites.